Posted on Nov 13, 2011 by Appleton Downtown Inc. 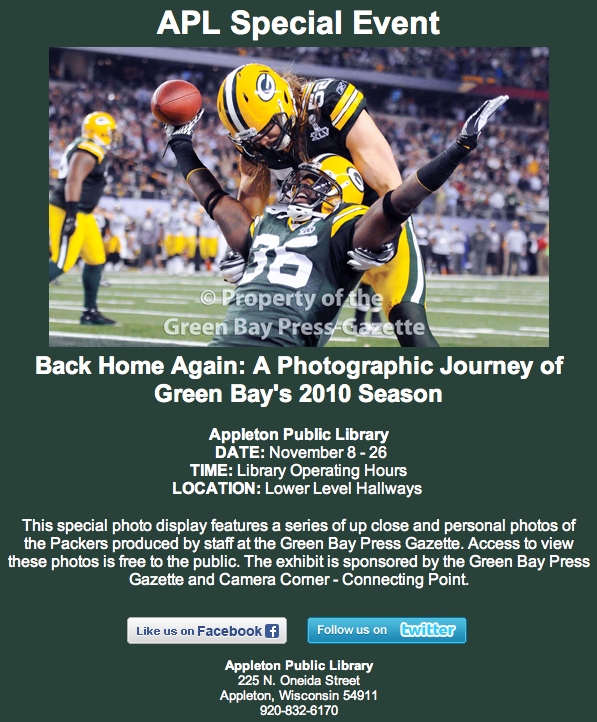 This special photo display features a series of up close and personal photos of the Packers produced by staff at the Green Bay Press Gazette. Access to view these photos is free to the public. The exhibit is sponsored by the Green Bay Press Gazette and Camera Corner - Connecting Point.